As a Family Law Attorney, in Bergen County, New Jersey for over 38 years, I have dealt with scores of cases involving Alimony. The original public policy behind the enactment of the New Jersey statutes, had as one of its primary purposes preventing the spouse in need from becoming a public charge (e.g. welfare). Over the years, both through statute and law case, alimony has developed into five (5) distinct types, with the amount and duration based upon an examination of a dozen or so factors. Open durational alimony involves marriages exceeding twenty (20) years in length, from the date of marriage to the date of filing of the divorce complaint. This is long-term alimony which previously was termed permanent alimony. Limited duration alimony is appropriate when the marriage is less than twenty (20) years in length. When the marriage is less than 20 years, the duration of alimony will be less than whatever the length of the marriage is. For example, if the length of the marriage is 10 years, the duration might be between five (5) and eight (8) years, depending on the circumstances. Rehabilitative alimony may be awarded to a spouse to help him or her regain the skills and training needed to become self-sufficient. This may consist of the supporting spouse paying an amount to the other spouse for certain training or courses to help him or her return to their career. Rehabilitative alimony may be in addition to the regular alimony that is paid. Reimbursement alimony involves the grant of a monetary award to the spouse who has supported the other spouse in pursuing his or her career. For example, if one spouse helped pay for the graduate school education of the other spouse, anticipating that he or she may enjoy the fruits of that enhanced education later on during the marriage, he or she may be entitled to reimbursement for payment of these expenses. Pendente Lite alimony may be awarded while an action is pending before the Court. For example, if the divorce has been filed, and the money earning spouse during the marriage refuses to contribute to the ongoing support of the spouse and children, he or she may seek an order in the beginning of the case to compel that support be paid to maintain the status quo. This support is temporary until the time any final award is made. Alimony termination occurs when either party dies, the supported spouse remarries, or depending on the circumstances, cohabits with an unrelated person as defined in our New Jersey Law. What If One Spouse Is Underemployed? Fairly frequently in a divorce or a post-divorce matter, an issue comes up where one spouse claims the other is “underemployed”. This is an important issue, as it bears upon the amount of alimony and/or child support. For example, what if the higher earning spouse earns $150,000.00 per year, and the other spouse $35,000.00 per year working part-time in a medical office. However, assume the latter party has a degree in business and accounting, or maybe even a Masters Degree. The higher paying spouse may claim that the other spouse should be earning significantly more, maybe even as much as he or she is earning, such that there would be little or no need for alimony. Many times, the parties through their respective attorneys are able to agree on an “imputed” income that is higher than what the spouse is actually earning, and that number is used to determine what the alimony and child support should be. The Courts will impute income to a non-working spouse in any event. The Court will look at all the circumstances but will not allow a spouse to claim zero income if capable of working. If the parties can’t agree on what the imputed income should be, counsel for the higher earning spouse may retain a Vocational Expert to evaluate how much yearly income the alleged underemployed spouse could make if he or she worked full-time. The Vocational Expert would make a recommendation as to what he or she thinks the income range for the underemployed or non-working spouse should be based on an examination of historical salaries, the training, experience, and any degree that spouse may have, and the years either within or without the workforce for that spouse. This is an important issue, and it cannot be stressed enough to consult with an attorney to discuss all legal and practical ramifications. How Cohabitation May Impact Alimony? 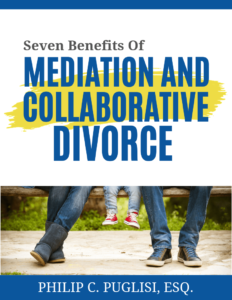 One of the primary factors the Court will review in dealing with cohabitation, is whether or not the spouse receiving alimony is obtaining a substantial economic benefit as a result of his or her cohabitation with another. The Court will look into whether or not the receiving spouse and his or her boyfriend or girlfriend have intertwined finances, shared joint living expenses and responsibility, and whether they hold themselves out in society as a union, amongst other factors. If the spouse receiving alimony has his or her standard of living enhanced due to their relationship with a paramour, that also is a strong consideration for the Court. In a 2013 New Jersey Appellate Division case, Reese v. Weis, the Court also considered luxurious gifts and emoluments that the ex-wife was receiving from her boyfriend as part of the equation in determining cohabitation.